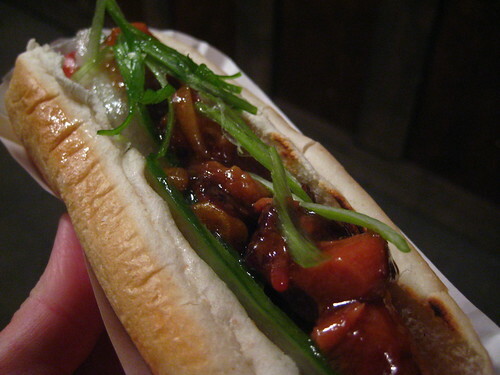 Blondie and Brownie: Chinese BBQ on a Hot Dog-Brillant! 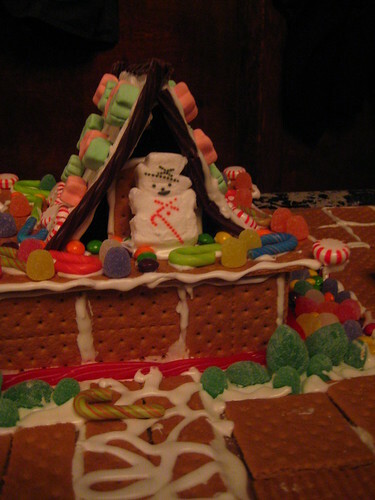 During my winter holiday break, I had the chance to judge the entrants in the Ginger Brew Ha-Ha competition. 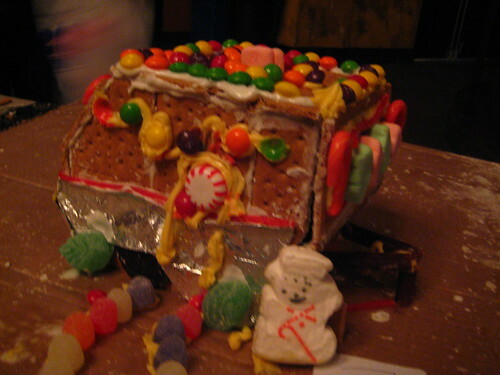 I would never have had the creativity to come up with some of the entries, and in all the event was great fun and held at least one big surprise for me. Chinese BBQ pork? Yes, please. I chose the Wangding and it. was. awesome. Saucy, sweet, porcine topped beef, if they ever get a truck and move around Midtown, I'm in trouble. I'd rather be seeking this out during some massive craving, not facing the temptation every day at lunch. 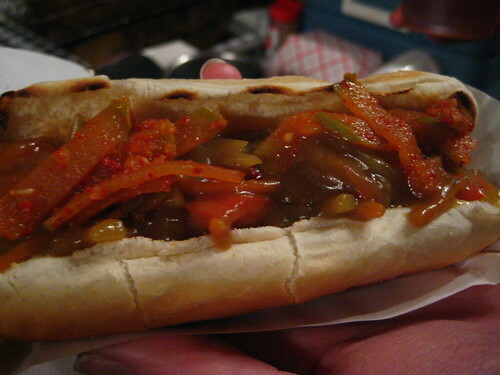 My vegetarian extraordinaire, Bez, was along and tried out The Ito (Japanese curry & homemade kimchi apple) on a veggie dog. "Very good. I like this kimchi stuff." The freshness and quality of the ingredients used really came through in the final products, and I hope to be able to try them out again soon, now that I know they won't knock me down for a few days. 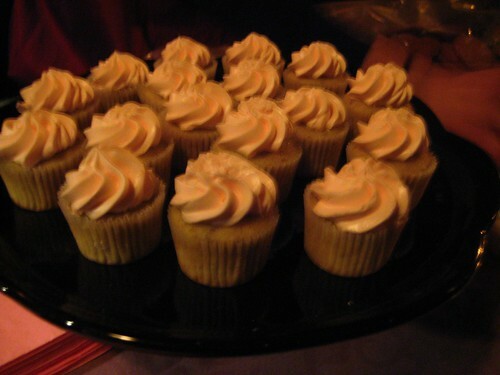 I also got to try Raspberry Bakeshop's cupcakes for the first time! Roopa, one of our lovely readers, started this business last year, and if the mini cupcakes I tried were any indication, the girl's got talent. Minis are notoriously hard, dryness and bad taste abound, but hers were moist little sumptuous bites. I highly recommend.